We built a new portal for the dealers as a one stop go-to HUB system for all their business needs and day to day working of their business. To enable CHI dealers to conduct their day to day business, CHI has online tools and platforms in which their customers (dealers) can place orders, create quotations, download collateral material, be in constant communication, and offer all the tools they need and even recommend tips to provide a better customer experience. The challenge was that everything that CHI offered to their customers resided on different platforms, so the dealers had to go to different systems to perform the various tasks. We built a new portal for the dealers as a one stop go to HUB system for all their business needs and day to day working of their business. We also integrated other systems to the HUB for communications and data sharing providing a seamless experience to the customer. We built a responsive Web Site and connected it to the master database on the CHI system. iTexico team put together a team of UI/UX Designers and Product Manager to focus on the Product Development to make sure the specifications had everything from a customer perspective. The development effort took about 12 months of hard work and collaboration. 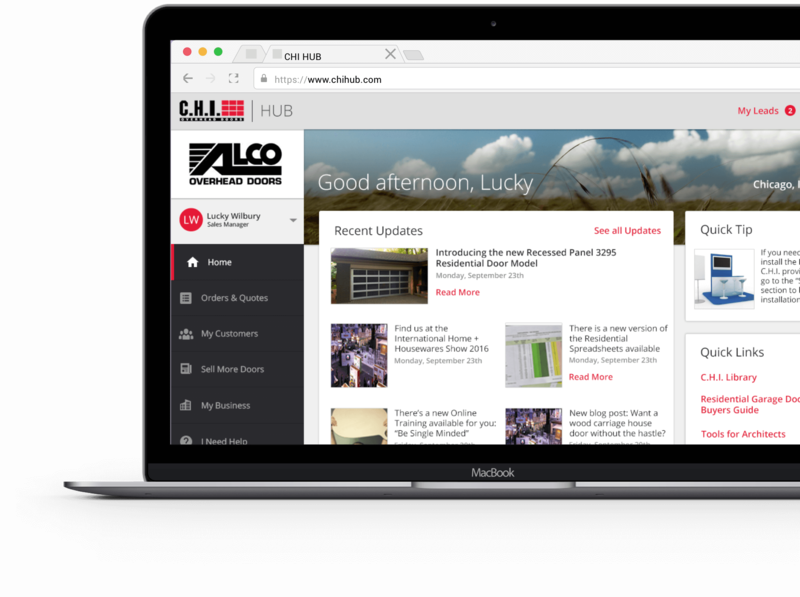 The goal for CHI was to be able to retire the old terminal server application that was previously serving dealers with the quoting and order processing and use this new HUB for all the operations. 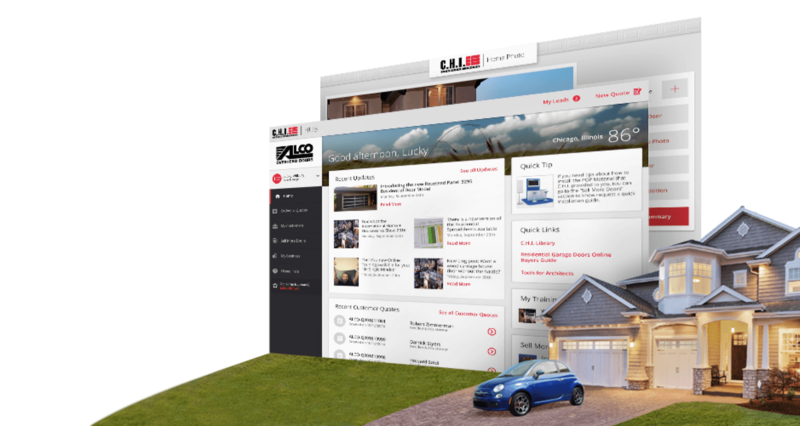 We built a flexible dashboard for the customers, which allowed them to save time when requesting a garage door. We created two portals using Angular and Bootstrap, one for the dealers to provide them with marketing tools and order entry management and other for homeowners to easily build and preview doors, as well as the ability to request quotes. We designed a visual stylesheet that could be replicated depending on the project requirements. We created a secured Web API to save and retrieve the data for the dealer’s dashboard, quotes, orders and marketing tools. The Web API also created the image of the door for the visualizer according to the desired configurations. The creation of CHI HUB system which is the single point of access for CHI Dealers so they can easily request quotes, place orders on various door configurations, manage their customers, create templates, and much more. This HUB system seamlessly connects to an intermediate database and the main CHI database, managing complex rules ensuring performance and availability. 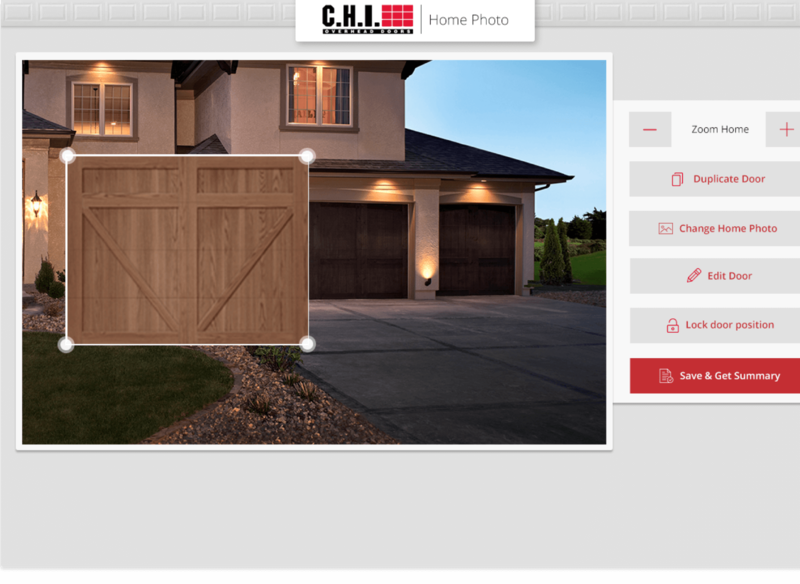 Also the Home owners or dealers have a capability to use the Door Visualizer tool as shown below where they can upload the picture of a home and see which garage doors might go with their home. Get in touch with our team and learn more about what Nearshore Plus Services can do for your mobile and cloud development strategy. Most of all, find out what iTexico can do for your company.